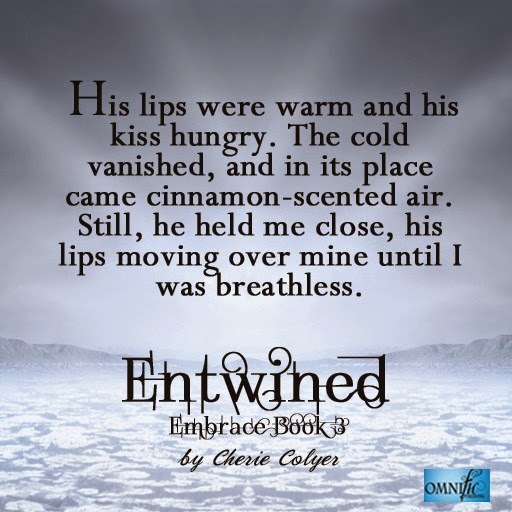 Only a few months after embracing her magical powers, defeating a dark witch, and banishing a faerie prince back to his realm, sixteen-year-old Madison Riley is back in book three of the Embrace series—and doing the bidding of a demon. She has no choice but to do so if she wants him to honor the deal they made to save the life of someone she loves. Twenty years of service to a creature of hell is a big price, but one she’s willing to pay. And it sure beats the alternative: selling her soul. But life gets complicated when you’re the beck-and-call witch of a crossroad demon. Caden, the demon she serves, wants to become master of Death Himself, and with Madison at his side he has the means to do it. It’s up to Madison and her coven to foil his plans, but Caden’s intentions aren't entirely evil—and the kisses he seals his deals with aren’t too bad either. As Caden's motives test Madison’s trust, his shameful flirting tries her boyfriend Isaac’s patience. 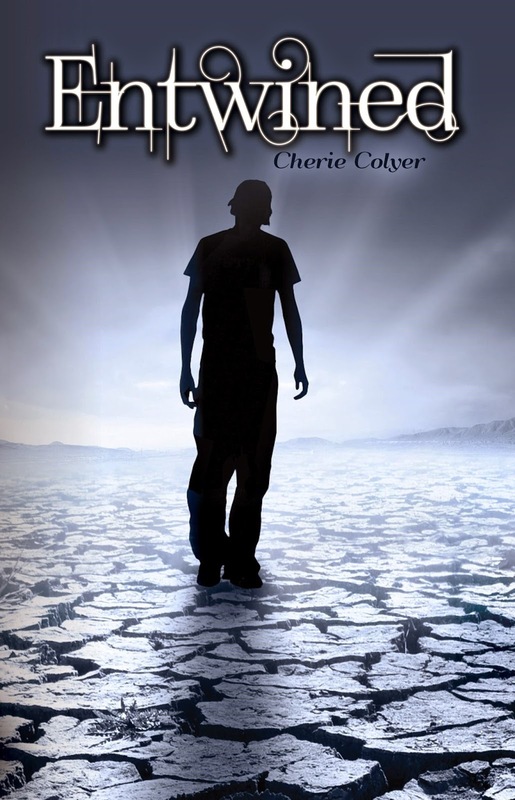 But being caught between two supernatural hotties is perhaps the least of her concerns when the coven’s interference in Caden’s plot might just cost Madison her life and unleash hell on earth. The journey would start in Madison Riley’s hometown of Gloucester, Massachusetts. Our first stop: Annisquam Lighthouse. 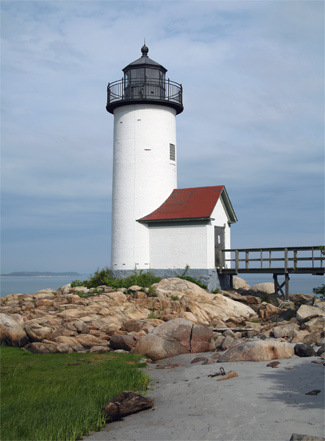 Annisquam Lighthouse is one of Isaac’s favorite places to visit. When this historic landmark first made its appearance in Embrace, the public could park in 15 minute parking and get an up close look at the lighthouse. The road to the lighthouse and the beach around it are now private, so if you’d like to see it, you’ll have to do it from Wingearsheek Beach. Next stop on the Entwined tour: Hammond Castle. 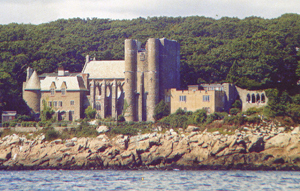 When I discovered there was a castle in Gloucester, Massachusetts, I told myself it would make it into one of my books. Come on, it’s a castle! What I didn’t know until after I wrote Entwined is that Hammond Castle is believed to be haunted or that John and Irene Hammond were into the occult. This was a nice happenstance, because it works in perfectly with my story. Just as cool is the Ghost Hunters television show did an episode about the castle. You can check it out by clicking here. 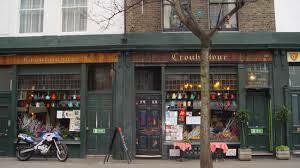 It's a hop, skip and plane ride to our next stop: the Troubadour Café in Earls Court, London. My wonderful editor helped me find this little treasure of a café, and it quickly became the perfect place for my characters to stop during their trip to London. There’s so much about the Troubadour Café that screams awesome, and I tried to capture some of its magic in Entwined. Azores is a small island in the North Atlantic Ocean west of Portugal. It’s a beautiful place for a pit stop when traveling by magic between Gloucester, Massachusetts and London, England. Don’t you think? Speaking of beautiful locations, The River of Five Colors is one of those jaw dropping places you have to see to believe. 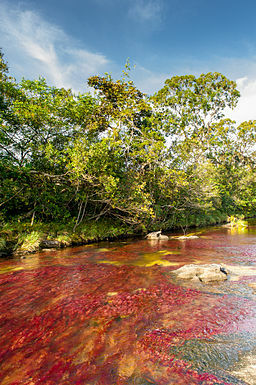 In my search for amazing locations around the world, I found Cano Cristales, more commonly called The River of Five Colors. The bottom of the riverbed causes the water to be various colors including yellow, green, blue, black and red. Click here to view more images of this incredible river. 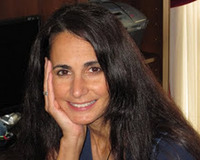 my wonderful host for having me on her blog today. Be sure to enter the giveaway! !